So much of Mortar Board is about service. 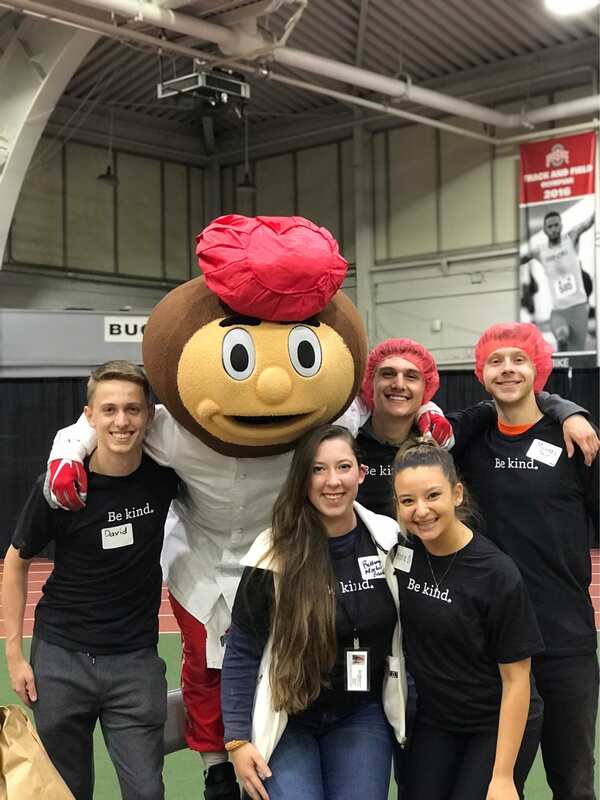 Though there are a lot of service events throughout the year, my favorite this semester was the KIND Columbus event. During this event, a group of Mortar Board members helped prepare and pack meal kits on behalf of the Pack Shack organization. Along with over 100 other volunteers – including student-athletes, alumni, and university administrators – we worked as teams to make each meal packet in an assembly line format. It was a fantastic way to better acquaint ourselves with other Mortar Board members through a meaningful and fulfilling activity. The organizers of the event kept everyone entertained with music and Brutus himself was there! And if that weren’t enough, we got free pizzas, t-shirts, and KIND bars! Though food insecurity is a massive issue, Pack Shack made us feel like we accomplished something meaningful: all told we made over 200,000 meals for local Ohio families. I’m sure that when I reflect on my time in Mortar Board, this service event will certainly come to mind.